Managing and improving behaviors of a child with special needs is of the utmost importance for everyone involved. This is easier said than done. 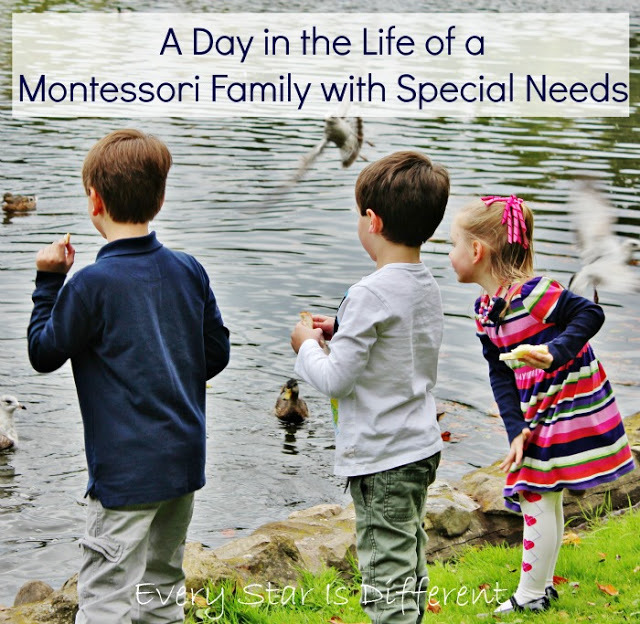 Every child with special needs is different, even those with the same diagnosis. In order for a child to be successful in any learning environment, the teacher must understand the child’s behaviors. As mentioned in one of my favorite books, Uniquely Human by Barry M. Prizant, all behaviors have purpose. Once a teacher understands the meaning behind the behaviors, she can provide supports necessary for him to be successful. 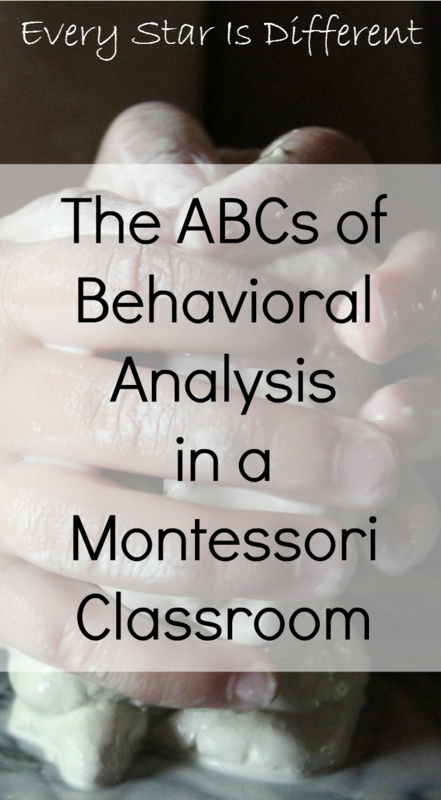 A teacher can do this by using The ABC's of Behavioral Analysis in a Montessori Classroom. This post includes snippets from my book, The ABCs of Montessori and Special Needs avalable now in ebook and paperback forms. As parents of four special needs children, my husband and I have attended several trainings over the years. One of our favorites was a course presented by the Autism Treatment Network. The network works hand in hand with the hospital where our children are seen regularly. As part of this training, we were taught the ABCs of Behavioral Analysis. This process has helped us significantly in developing ways for our children to be successful in the Montessori home and classroom environment. What is happening right before the behavior occurs? Take time to analyze each situation. Break situations down into observable, measurable actions. Record the events leading up to the undesired behavior. If there is no obvious antecedent for a behavior or if the child responds inconsistently to a specific antecedent, ask the parent about behaviors at home. Learn more about the child’s physical, mental, emotional, and psychological state. Sometimes, an explosive behavior may seem to arise out of nowhere because the child is still worked up over something that happened earlier in the day or an event in the more distant past. 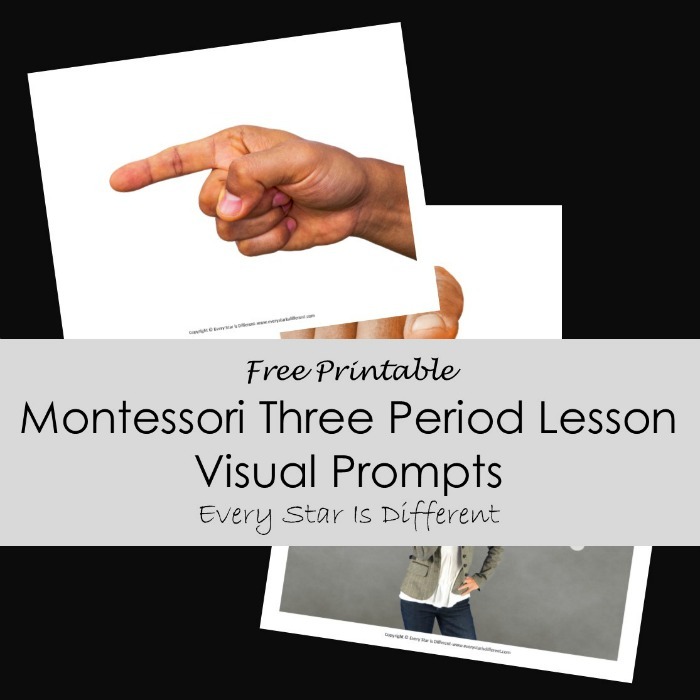 This information can help the teacher look for warning signs before things escalate, providing time to choose an appropriate response to the behavior. How is the child responding to the antecedent? Once the teacher connects the behavior with the antecedent, she can begin to identify patterns. These patterns can help the teacher decide how to intervene. She might teach a child different coping mechanisms and ways of communication that are more productive. Or she can also make modifications to the physical environment that might prevent the antecedents from occurring. If a teacher is working with a child who is particularly challenging , she can use the ABCS of Behaviors Analysis to chart positive behaviors and earn what makes the child comfortable and happy. Over time the teacher will see patterns that will help her know how to make learning experiences more positive. The teacher’s response to the child’s behavior ultimately determines how the situation is resolved. Choosing consequences that help the child meet his needs without reinforcing the negative behavior is key. If the consequence is appropriate, the child will have learned something new and feel empowered to do better. If the consequence is given inappropriately or reinforces the negative behavior, no progress will be made. Documenting the ABCs of Behavioral Analysis has affected our home and classroom for the better, more than any other intervention we’ve tried. If the teacher understands the needs and the struggles of the child, she can develop ways to help him. 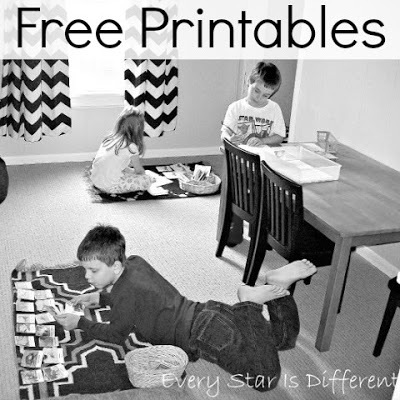 Take the time to document each time a behavior occurs using our free printable. Look for patterns. Once patterns are identified, create a behavior plan that will help the child be successful. If the teacher can not find patterns and responses that are inconsistent at best, it’s time for further investigation into the emotional health of the child. A child with special needs may lack the ability to communicate appropriately in social situations. Instead of using words in response to the action of another, display negative behaviors. 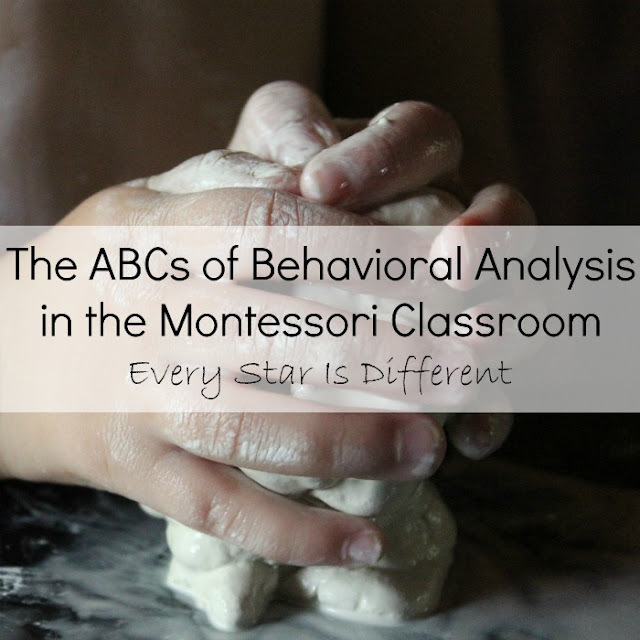 When a teacher observes these occurrences and notices patterns using the ABCs of Behavioral Analysis she can begin to provide resources for the child with special needs to help him be successful when communicating with others. As the child learns to communicate effectively, behaviors will diminish and everyone involved feels successful. A transition is the time between the end of one activity and the beginning of another. A child with special needs may struggle with transitions, resulting in some pretty significant behaviors. As the teacher analyzes the child using the ABCs of Behavioral Analysis, she can observe where he has difficulties transitioning and put proper supports in place to help during those times. Supports may include timers, auditory prompts, a visual schedule, and structuring preferred activities after non-preferred activities to provide incentive and reinforcements. Over time, when proper supports are put in place, the teacher will see a decrease in behavioral issues. At times, a child with special needs may display inappropriate behaviors because he doesn’t want to do what’s asked of him. In these cases, it’s extremely important to analyze what it is he doesn’t like and respond appropriately. If the requested task is something that’s mandatory, it will be important that the consequence is consistent, appropriate, and does not reinforce the noncompliant behavior. Incentives and reinforcers may be necessary to help the child comply. If the teacher has flexibility in what’s asked, it’s important to remember that the main goal of behavioral analysis is to help the child be successful. The teacher can alter her request to ensure that the child feels empowered with choices, while reducing his noncompliant behaviors. The teacher may continue to find unexplained difficulties with noncompliance if the child has a mood disorder or a trauma based disorder. In these cases, constant communication between the parent and teacher is crucial. At times medical intervention will be necessary. Once the child is stable, success is possible in the Montessori classroom setting. It just may take far more time than the teacher would like. The ABCs of Behavioral Analysis work extremely well in a Montessori classroom as the teacher is constantly observing the child and following his interests, abilities and desires related to learning. In many instances behaviors improve through simple modeling and explanations. This occurs as the teacher presents Grace and Courtesy lessons in the classroom. Grace and Courtesy lessons consist of instructions on social etiquette, manners, and appropriate behavioral responses to various situations in the classroom as they arise. Transitions are minimal in a Montessori environment, as the child selects his own work and completes tasks at his own pace. Required transitions within the classroom are routine and expected. Experiences outside of the classroom are planned in detail before they are carried out, providing opportunities to address difficulties with transition. Noncompliance is also minimal in a Montessori environment as the child selects his own work. The Montessori classroom supports a child’s need for control over his actions. 1. It is important to remember that a child with special needs may not remember from day to day, or hour to hour what they are “supposed” to do regarding social skills and behaviors in the classroom. Grace and Courtesy lessons may need to be presented several times. 2. Grace and Courtesy lessons may require visuals and hands-on materials to help the child with special needs learn. Once a child knows what to do, applying that knowledge can be extremely difficult. 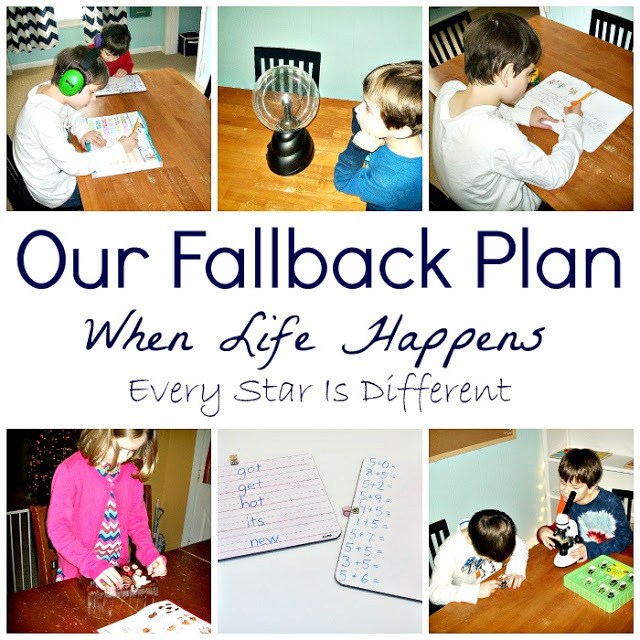 He may require more prompts, visual cues, and/or hands-on materials in order to be successful. 3. The abilities of a child with special needs may change often based on issues with sensory stimuli, self-regulation, triggers, and more. A child with special needs may struggle to generalize skills. Don’t assume that because a child did well with a concept one day, he’ll do just as well the next. That’s rarely the case. Be patient. 4. If a child with special needs struggles with noncompliance in the classroom, it’s important to understand why the child is acting out. There are very few reasons why a teacher might run into this issue. Here are a few questions to reflect on. Are works on the shelves boring or too easy? Are the works too difficult? Is the child over stimulated and/or unregulated? Has the child been triggered emotionally in some way? Is the child struggling with issues not related to the classroom such as problems at home, emotional disability, etc.? 5. If a child has been triggered emotionally, preferred activities may help. If not, try time in the Peace Corner with preferred sensory stimuli until the child is calm. If you enjoyed reading this article, you may also enjoy the ones below.